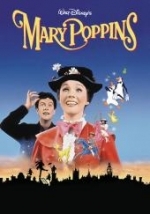 The Newbury Town Library will be showing Mary Poppins (rated G). Popcorn and water provided. No registration required. When Jane and Michael, the children of the wealthy and uptight Banks family, are faced with the prospect of a new nanny, they are pleasantly surprised by the arrival of the magical Mary Poppins.